Cannabidiol (CBD) is a substance extracted from the hemp plant that has been shown to be an effective treatment for many ailments. It's also beginning to gain popularity in the field of veterinary medicine. CBD has actually been used to treat animals for decades, but recently companies like Austin and Kat are brining this treatment into the mainstream light. As expected, CBD is a very controversial treatment option in the human and animal medical fields. Because this is a relatively new method of treatment, there is not a lot of research on the subject. This is what keeps many veterinarians from condoning the use of CBD to treat veterinary patients. Cannabidiol has many benefits for pets. As this treatment is still relatively new, there are many studies being done on the effects of CBD on health conditions such as anxiety, arthritis and cancer in dogs. So far, the research looks very positive and extremely promising. 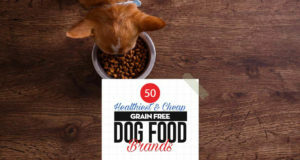 It's definitely a topic that you'll need to research on your own, and you should speak with your veterinarian before including anything new in your dog's diet. If your vet isn't open to the idea, perhaps a chat with your local holistic veterinarian may help. If all else fails, there are numerous holistic vets willing to consult with pet owners online or over the phone. If you decide that you'd like to try cannabidiol infused treats to help your pet, Austin and Kat dog treats are a great choice! Our dogs love them, and they are 100% safe. Every CBD oil and dog treats containing this oil are different. There are different grades of CBD oil and each brand of treat uses their own oil in different quantities. For this reason, it's important that you do some research on CBD oil for dogs before feeding these types of treats to your dog. I've also had the opportunity to chat with Kat of Austin and Kat for my podcast, Theory of Pets. You can listen to Kat's episode here to learn about the benefits of CBD oil for pets and how to choose safe CBD treats and oil for your pooch. These treats from Austin and Kat are 100% natural. There are no artificial colors, preservatives or flavors used in the making of these dog treats. They are also free of bulking agents, gluten, dairy and eggs. Austin and Kat dog treats are vegan and handmade in the USA. The treats are infused with naturally occurring CBD oil from the seed and stalk of the hemp plant. They are also made with some canine superfoods including coconut oil, oats, apples, peanut butter, cinnamon and turmeric. Full List of Ingredients: Oat Flour, Tapioca Flour, White Rice Flour, CBD Extract (Hemp derived from seed and stalk), Oats, Peanut Butter, Apples, Coconut Oil, Almond Meal, Xanthan Gum, Turmeric and Cinnamon. The most important thing to note about these (and other) CBD containing dog treats from Austin and Kat are that they are 100% non-psychoactive. CBD oil harnesses the medicinal powers of the plant without the THC, which is what causes the psychoactive effects in humans. The cost of the bags are $29.95 and $39.95 respectively. If you do the math, that's about $0.75 per treat for the smaller biscuits and $1.33 per treat for the larger biscuits. Obviously that's quite pricey for dog treats, but you also have to remember that these offer medicinal properties that other treats do not. Austin and Kat also makes a CBD Hemp Oil that is safe for dogs and cats (and humans, too!). This oil is made with wild Alaskan salmon oil and hemp seed oil. You administer it with the included calibrated dropper, which I demonstrate in my video review above. This oil is very high in Omega 3 & 6 essential fatty acids, which are beneficial for skin and coat, brain and even heart health! As you can see in my video review, our dogs have no problem licking this oil right from the dropper. However, if your dog won't allow you to administer it under his tongue, you can also apply it to food or treats. The Austin and Kat company claim that your dog will see relief within 15-20 minutes of administering the oil. I have used it to help with our Labrador's noise aversion, and I do agree that I can begin seeing her calm down within about 20 minutes of administering the oil. We've also used it to help treat arthritis pain in my mother's Labrador (Beau), and it has been very effective. We use both the oil and treats daily to help with the pain. While I cannot say that the pain is 100% gone, Beau is noticeably more comfortable than he was before we added CBD to his diet. Both dosage sizes come in a 1-ounce bottle. The smaller dosage is available for $29.95, and the larger bottle can be purchased for $64.95. While that may sound quite expensive, it's comparable to other high quality CBD oil products. You also need to keep in mind that you'll only be administering a few drops at a time, so the small bottle will last quite a while.